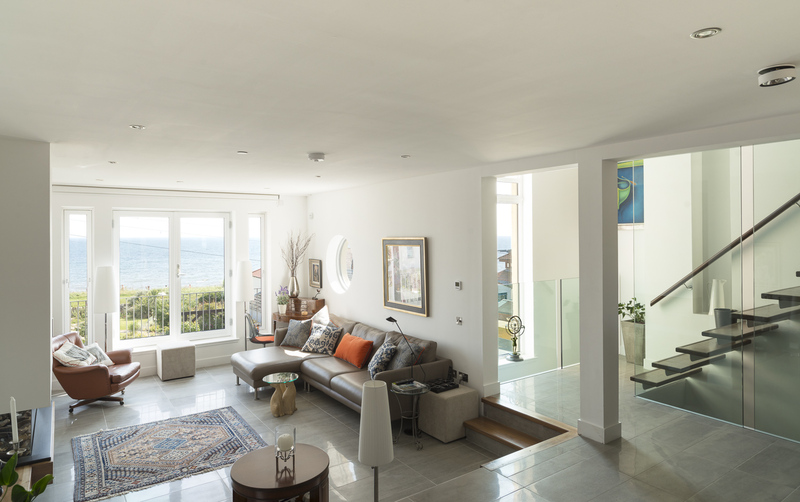 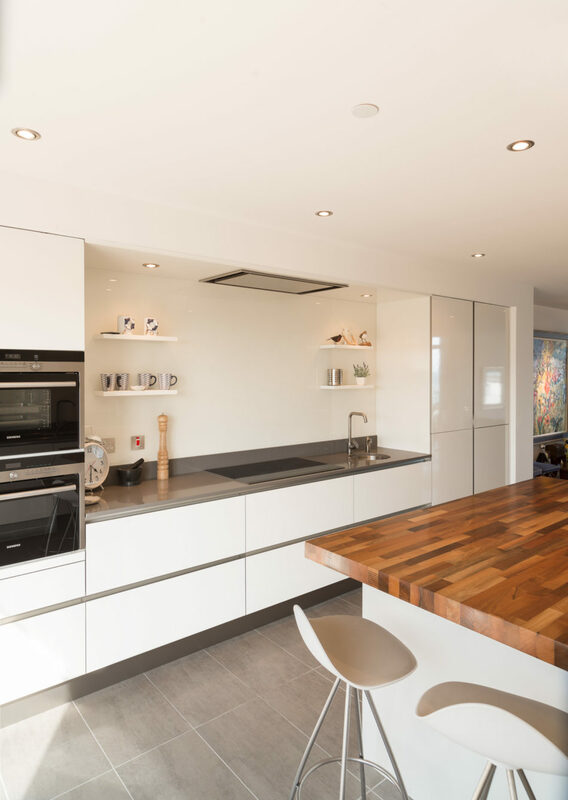 A lovely interior to photograph for Hurd Rolland Architects, the design allowing a great quality of light to penetrate throughout the open plan living space. 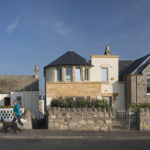 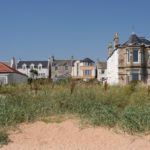 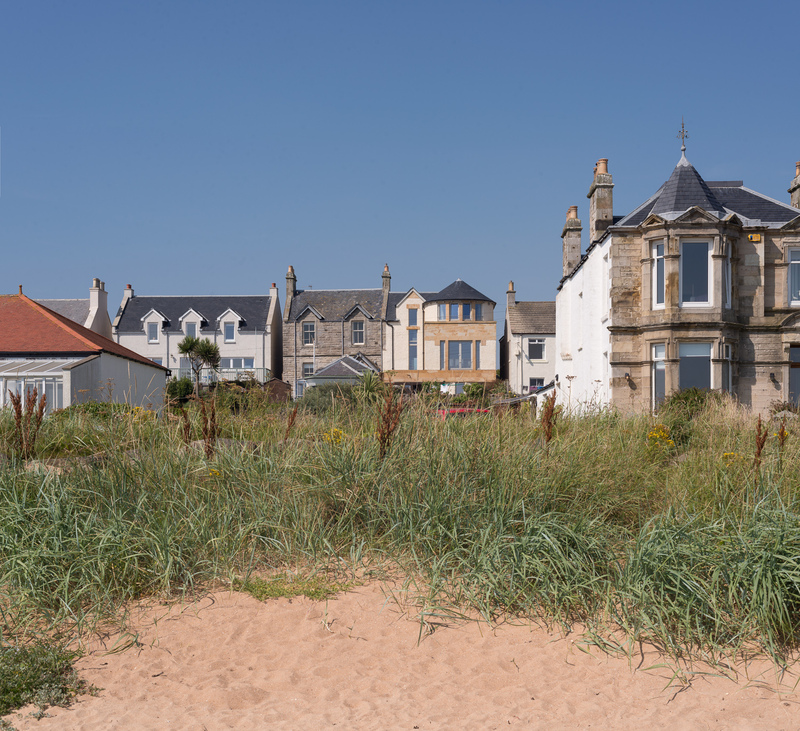 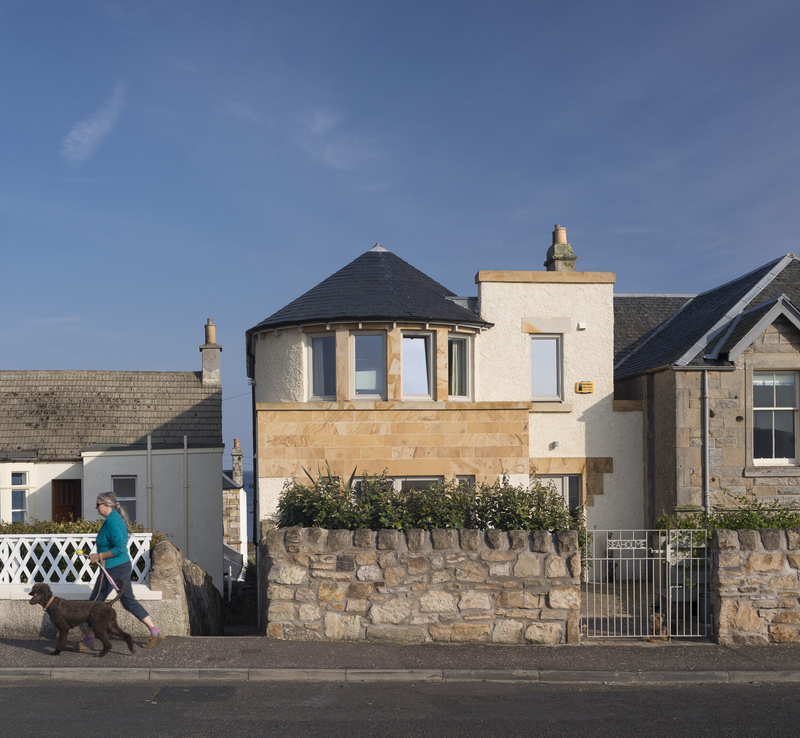 Built on a sloping site, wonderful views out to the sea are accommodated from the living room which, at the rear of the property has an elevated first floor view. 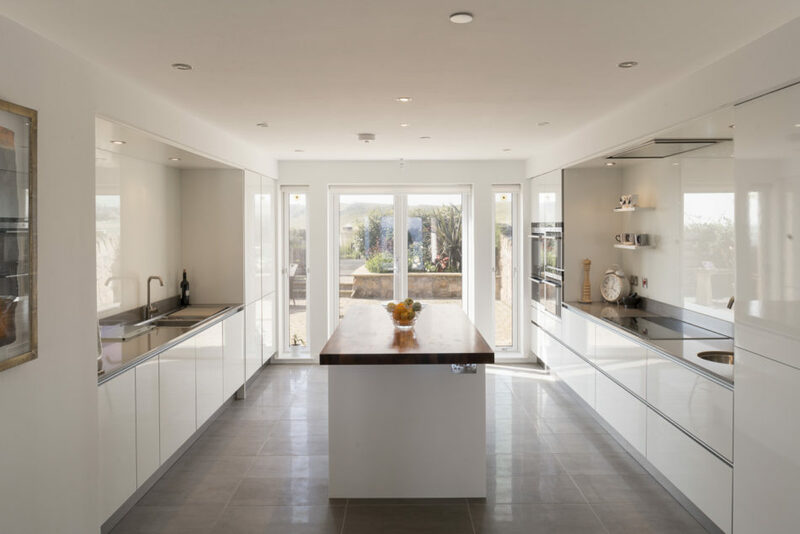 The kitchen is at the front entrance end of the building which is characterised by its relationship to a semi private garden, the orientation of the building maximising the benefit of the suns path through the day. 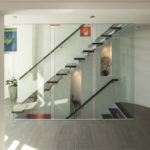 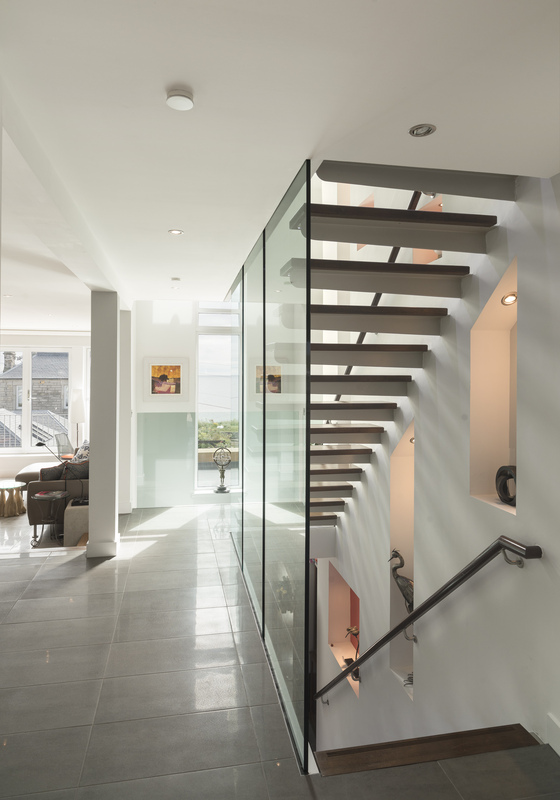 A glazed and open stair well encourages the sense of openness and light throughout the building, creating a calm and tranquil residence.